Not surprisingly, the idea for this concept originated in Kyoto. The Japanese are masters at coming up with innovative and highly interesting ideas. It’s a concept that is gaining more popularity in the West as well, now, and that’s not all that surprising. After all, first dates are nerve-wracking. What do you talk about? What if they decide to take their “escape” call? Where is a good place to meet? 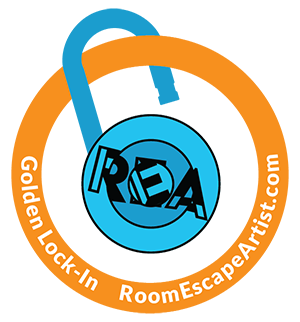 Enter the escape room – you and your date are locked in and have to work together to find a way out. It can be a perfect answer to the first date jitters. So, why should you take your first date to an escape room? Let’s see, shall we? Sure, it is not going to be everyone’s cup of tea, but at least it shows that you are creative. No more boring dinner and a movie – you and your date get to be the action stars. How’s this for the ultimate meet-cute story? “He had us locked in an escape room for our first date.” And, even if things don’t work out, you will both have a great war story to tell. Nothing quite gets the blood pumping like being in an emergency. And, relationships that are forged under such circumstances have a boost in the chemistry department too. There is something compelling about making through a tough situation together. You won’t be making too much small talk at all because you will both be focusing on how to get out. You will find that the talk flows naturally as you discuss potential strategies and potentially argue about the validity of one another’s suggestions. Okay, so we know that this is technically not a life and death situation, but it can feel like it. As a result, you are likely to see a more realistic portrayal of the person’s character. Do they handle stress well, do they have that great sense of humor they claimed to? No one can accuse you of being a cheapskate with this one. The experience won’t cost a lot, but it probably also won’t be one that your date has had before. There is no nervously hoping that they aren’t going to order the most expensive item off the menu either as everything is paid upfront. In a world where our lives have tended to become a little monotonous, this is a great way to stand out. If you want to make an impression and open the way to some real communication, this is a hard option to beat.